Dom Francisco de Almeida (Portuguese pronunciation: [fɾɐ̃ˈsiʃku dɨ aɫˈmɐjðɐ]), also known as "the Great Dom Francisco" (c. 1450–1 March 1510), was a Portuguese nobleman, soldier and explorer. He distinguished himself as a counsellor to King John II of Portugal and later in the wars against the Moors and in the conquest of Granada in 1492. In 1505 he was appointed as the first governor and viceroy of the Portuguese State of India (Estado da Índia). Almeida is credited with establishing Portuguese hegemony in the Indian Ocean, with his victory at the naval Battle of Diu in 1509. Before Almeida could return to Portugal, he lost his life in 1510. His son Lourenço de Almeida was also killed in the Battle of Chaul. Almeida was born at Lisbon. As was customary for men in his social circle, he joined the military at an early age. In 1476 he took part in the Battle of Toro. Then he fought in conflicts in different parts of Morocco and in 1492 participated in the Christian conquest of Granada on the side of the Castilians. In 1505 King Manuel I of Portugal appointed Almeida, then in his mid 50s, as the first viceroy of Portuguese India (Estado da Índia). With an armada of 22 ships, including 14 carracks and 6 caravels, Almeida departed from Lisbon on 25 March 1505. The armada carried a crew of 1,500 soldiers. The flagship was the carrack São Rafael captained by Fernão Soares. The mission's primary aims were to bring the spice trade under Portuguese control, to construct forts along the east African and Indian coasts, to further Portuguese spice trade through alliances with local chieftains, besides constructing trading posts. In 1505, Francisco d’Almeida arrived with eleven heavily-armed ships that destroyed Kilwa, Barawa and Mombasa, a coastal port further north. The city with a population of about 10,000 was conquered in heavy combat against the troops of the local Arab sheikh. The city was plundered and torched. The Portuguese were assisted in this attack by a Mombasa enemy, the Sultan of Melinde. 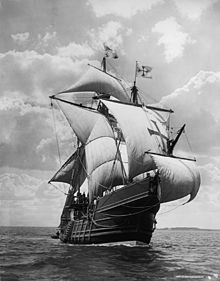 The same month a caravel of Almeida's fleet captained by John (João) Homere captured Zanzibar island and claimed it for Portugal. The Zamorin of Calicut prepared a large fleet of 200 ships to oppose the Portuguese, but in March 1506 his son Lourenço de Almeida intercepted Zamorin's fleet in a sea battle at the entrance to the harbour of Cannanore, the Battle of Cannanore, and inflicted heavy losses. Hereupon Lourenço de Almeida explored the coastal waters southwards to Colombo, modern Sri Lanka. Meanwhile, the Zamorin succeeded in convincing the Kōlattiri of Cannanore of the true imperialistic motives of Portuguese in Kerala. The Kōlattiri was already annoyed and angered with the Portuguese for their violation of the safe conduct guaranteed to the ships of Muslim merchants of Cannanore. The Kōlattiri put up a common fight against the Portuguese besieging Fort St. Angelo at the Siege of Cannanore. Afonso de Albuquerque arrived at Cannanore at the close of 1508 and immediately made known an hitherto secret commission he had received from the King empowering him as governor to replace Almeida at the end of his term as viceroy. Almeida, determined to avenge the death of his son and free the Portuguese prisoners taken at Chaul, refused to recognize Albuquerque's credentials immediately, and later arrested him. In 1509, Almeida became the first Portuguese to arrive by ship in Bombay. He sought Meliqueaz, to whom he had written a menacing letter, and the Mameluk Mirocem, fiercely engaging them at the naval Battle of Diu on 3 February 1509 commanding a fleet of 23 ships near the port of Diu. He inflicted a decisive defeat on a joint fleet from the Mamlûk Burji Sultanate of Egypt, the Ottoman Empire, the Zamorin of Calicut, and the Sultan of Gujarat, with technical naval support from the Republic of Venice and the Republic of Ragusa (Dubrovnik), that feared for its eastern trade links. His victory was decisive: the Ottomans and Egyptians left the Indian Ocean, enabling Portuguese trade monopoly over Indian waters for over 100 years, into the 17th century when it was ended by the Dutch and English. Albuquerque was released after three-month confinement, on the arrival of the grand-marshal of Portugal with a large fleet, in November 1509. Almeida sailed for Portugal in December 1509 and reached Table Bay near the Cape of Good Hope, where the Garcia, Belém and Santa Cruz dropped anchor late February 1510, to replenish water. There they encountered the local indigenous people, the Goringhaiqua Khoikhoi clan. After friendly trade with the Khoikhoi some of the crew visited their nearby village, situated in modern-day Observatory where they tried to steal some of the locals' cattle. Almeida allowed his captains Pedro and Jorge Barreto to return to the village on the morning of 1 March 1510. The village's cattle herd was raided with the loss of one man, while Almeida awaited his men some distance from the beach. As the flagship's master Diogo d'Unhos moved the landing boats to the watering point, the Portuguese were left without a retreat. The Khoikhoi and some Xhosa allies sensed the opportunity for an attack, during which Almeida and 64 of his men perished, including 11 of his captains. Almeida's body was recovered the same afternoon and buried on the shore front of the current Cape Town. Some historians contend that de Almeida was the victim of an assassination plot by his own men. Almeida was the son of the 1st Count of Abrantes and one of a number of highly distinguished siblings including two bishops, an ambassador to the Holy See and the Portuguese head of the Order of Malta. His son, Lourenço, was killed in battle in Sri Lanka, but he was survived by a daughter, Leonor, who married Rodrigo de Melo, Count of Tentúgal, precursors of the Dukes of Cadaval. Ferdinand Magellan (Fernão de Magalhães) accompanied Almeida to the east, but was promoted to captain and only returned in 1512 after losing that commission. ^ Guilmartin, John E. (1995). "The Military Revolution: Origins and First Tests Abroad". In Rogers, Clifford J. (ed.). The Military Revolution Debate: Readings on the Military Transformation of Early Modern Europe. San Francisco: Westview Press. pp. 299–333. ISBN 0-8133-2053-4. ^ "Invaders received a lesson in warfare". www.iol.co.za. Retrieved 2019-03-08. ^ "5. First encounters, lasting legacies—part two". Retrieved 2019-03-08. Wikisource has the text of the 1911 Encyclopædia Britannica article Almeida, Dom Francisco de.